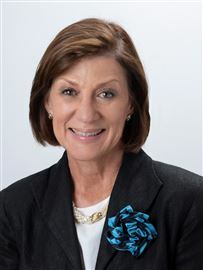 Jana has been in the property industry leading teams in selling residential, commercial and agricultural property and doing rentals for over 30 years. Since 1987 she has worked towards building the standard of real estate as an industry and raised the bar for service excellence. She builds people. Numerous individuals has been under her mentors-hand always becoming better versions of themselves. She believes in team work. Her open door policy, patience and dedication to build trust and confidence in the workplace makes working with her as a principal not only a job, but a common goal. Here she allows her co-workers to be more like family than employees. She gives with open arms. Being involved in many orginisations, groups and causes over the years makes the footprint of the good people has recevied through her one of hope and life. She has always supported child welfare and community upliftment. "It is our duty to look out for the less fortunate, because we can." She lives by the Harcourts values - putting people first, doing the right thing, being courageous and fun and laughter. 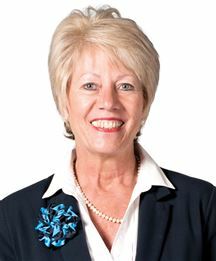 Her background with the Harcourts group comes as far back as when Homenet Real Estate painted many towns red in South Africa. Her business and industy excellence has evolved with the brand over the past few decades to bring her today to be part of this internationally recognised Real Estate Company. Leveraging her experience as a science teacher, co-founder of a highly successful fruit export business and the owner of a well-known local restaurant, Andrea will strive to deliver service excellence in all the spheres of real estate. 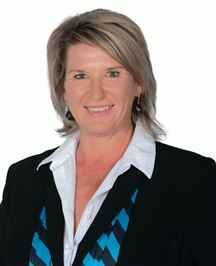 Combined with her lifetime intimate knowledge of the scenic Hermanus and surrounds, she strongly believes that it is her duty to represent her clients to the best of her ability, use her top-notch business insights to successfully lead them through the real estate process to make the best decisions regarding their property investments. “During the whole process, I will work hard to lower the stress levels of all my clients and make their experiences as pleasurable as possible. I will accomplish this through constant communication and by being accessible whenever my clients need me” As your real estate agent, Andrea will be an advocate for you. Whether you are buying, selling or renting, she will work tirelessly to promote your best interests. If you are selling, she will work with you to get you the fairest price, in the least amount of time, by using Harcourt’s state-of-the-art technology, team collaboration, and superior marketing materials. If you are buying, she will work incessantly to provide you with the best information and market data to inform and assist you so that you can be a well-equipped buyer with the strongest possible negotiating position. Cecile grew up in Mpumalanga and lived in Kwa-Zulu Natal for eighteen years. She and her family relocated to the Western Cape at the end of 1988. She is a family-gal and places great value on these relationships. 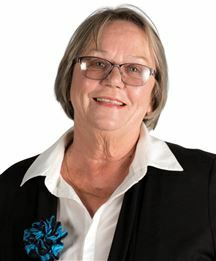 She has been a resident of Kleinmond for the last 27 years, and was employed by the Overstrand Municipality until her early retirement at the end of December 2013. As Area Manager for the Hangklip-Kleinmond area she had close contact with local residents, holiday visitors, as well as developers and contractors who came to Kleinmond for various reasons. Her responsibilities as a Municipal Official afforded her the opportunity to gain valuable knowledge regarding municipal related matters and legislation pertaining to municipal services and also conservation matters. Kleinmond's picturesque location situated within close proximity to Cape Town, the wine routes and many other attractions, makes it an ideal town to either invest in as a holiday and/or retirement destination or to obtain an ideal permanent residence. I firmly believe that when investing in real estate in Kleinmond as well as its neighbouring coastal towns you will gain a rewarding return. I would like to offer my service and my knowledge to guide sellers and buyers along the way to concluding successful real estate transactions. Herby grew up in Onrus River, Hermanus. Raised in a family familiar with and dealing in Real Estate, he became actively involved in this industry since 1997. Property and Real Estate has always been his primary interest and gave him a sense of belonging. While continuously involved in property development in South Africa, he worked abroad for 12 years, serving in the Facilities Management and Hard Services Industry for a market leading Investment Bank, based in the UK. He serviced their EMEA (Europe Middle East and Africa) portfolio across the whole region. He was awarded an exceptional award for business support./development in the EMEA region. He is confident that his passion for Real Estate, business experience abroad, enthusiasm, determination and sheer passion for people is the key for building a successful career based on strong relationships. His confidence and trust in the Harcourts Brand gives him a platform positioning him to continuously exceeding his customers expectations. Igno has been in the property industry since 2005. He has excellent knowledge and understanding of the industry as a whole. 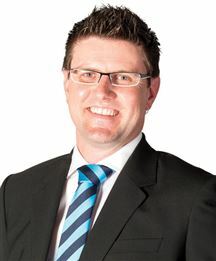 He has been a top achiever in his office since he joined Harcourts in 2014. The experience he gained in various areas of the country, and the network of people he has connected with over the years makes him effective and efficient in finding solutions and serving his clients with excellence. He enjoys following local, national and international news on markets and trends and he regularly does training and are well informed about the industry. You can trust that you are dealing with a true property professional. "I have a great passion for people, music, technology, and business in general.” What Igno loves the most about being in Real Estate is working with people daily. His ability to see exactly what the need is and fining a way to fulfill that is what makes him different form all the rest. His business is one of adding value and strives to leave a client enriched with an experience shaped by honesty and dedication. He aspires to help people build their future through giving realistic, truthful and relevant guidance and advice, regardless of his gain. "Just as your home is more than just brick and mortar, selling or buying is more than just paper work, it's personal." When you go through this rolar coaster experience with Igno you can be assured of his professionalism and service to get you through enriched on the other side. Jaqueline is passionate about helping people. She was a preschool teacher for many years. Her last role at the school where she mostly taught was Interim School Manager where she loved interacting with learners, parents and staff. For many years she was also in the food industry, supplying shops with specialised homemade products and running food stalls at various craft markets. She has always had an interest in property and is so excited to be working with a fantastic team and to have the opportunity to work with a diversity of people. Jaqueline’s understanding of people and identifying their needs will allow her to be an excellent mediator between sellers and buyers and negotiating the best deal to the advantage of all parties. 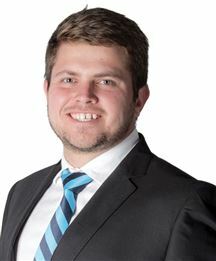 Johan is a young dynamic part of the Harcourts Hermanus team. His interest in the influence and role a home plays on a persons' general well-being has drawn him to become involved in the interior decorating business in 2012. After running a successful interior decorating business in Potchefstroom, he became more and more aware of the intricacies involved when people has to choose the home he had to decorate. His inclination toward helping people acquire their dreams and desires made him become all the more interested in guiding and helping people find the perfect home. He is committed to serve anyone with excellence who has a property need. Being young, fun, energetic and self motivated, Johan is certainly a guy our clients enjoy working with. "I will go the extra mile for all my clients irrespectively of the personal gain. You can be certain of my commitment for I have a lot to prove." For him, a challenge is only an opportunity to learn, grow and succeed. 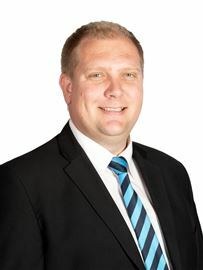 If you are looking for a responsible and dedicated agent to manage your property or looking for something to rent around the Overstrand, Johan would be your go-to-guy. Joubert is a bred local to Hermanus. Having spent most of his life in this captivating area formed a unique understanding of the region and its people. 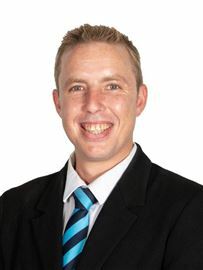 His innate love for Hermanus makes him passionate about the role he fulfills as a real estate agent by being an usher for people wanting to invest here. Growing up in a real estate-career-home, it has been an undeniable part of his life. "It runs in my blood. Understanding this industry is second nature to me." The experience he gained during the fifteen years of working in the international hospitality industry has cemented his passion for people, distilled his zest for a challenge and fine-tuned his interpersonal skills. His background in Architectural Draughting enables him in to understand and relay the inner workings of properties to his clients. Finding the right person for the right home is what gets me up in the morning! Louisa became passionate about the property industry after settling in Kleinbaai in 2017, because she is a community driven person who has a passion for, and interest in people. This inspired her to want to join a real estate company through which she could effectively and efficiently assist and guide home-seekers to fulfil their property dreams. Louisa grew up in Cape Town in a family who was always involved in their community, which enhanced her remarkable ability to really look after the interests of clients at all times. She discovered her interest and love for marketing early on in her professional career when she helped clients to make calculated financial decisions, which links directly into the real estate industry. Her ultimate goal in any client-agent relationship is to assist with the entire process, so as to lessen the stress of selling or buying or renting by giving good advice, making use of the best possible resources and the amazing technology and marketing tools offered by the acclaimed international Harcourts family. 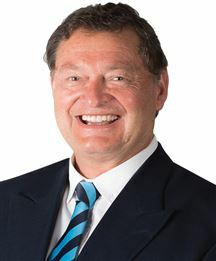 Buying and selling property in his private capacity, as a hands-on owner-builder, Tony built, renovated and maintained several buildings and houses, including extensions to existing buildings. This included tiling, plumbing, electrical installations, paving, waterproofing, rock art, lapas and landscaping. After some years in the corporate world dealing with management at the Stock Exchange, various banks, hospitals, SAPD, SANDF, Correctional Services, Mining Industry, Sasol, etc, to mention a few, on contractual, technical, and service levels, he ventured into his own private businesses in 1995, which included, sales, technical services, refurbishment, retail, design & manufacturing. 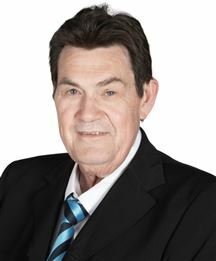 Tony has built good relationships with home owners, regular visitors to the area and business owners in the time that he lived and ran a business in de Kelders. The knowledge and experience he gained through the years and up to date industry related training makes him able to professionally assess and give market related value on properties. 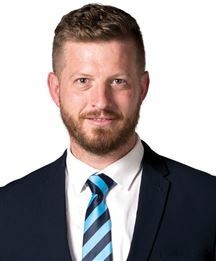 He is confident in the advise he can provide to clients on local legislation, building regulations and restrictions, area information, service providers, etc. 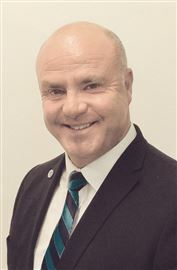 Through the numerous interactions he had with real estate professionals & estate agencies over the years, he built up a good understanding of the expectations of a buyer and seller. 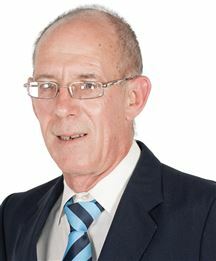 Tony lives in Gansbaai and is excited to bring his expertise and service to your door. 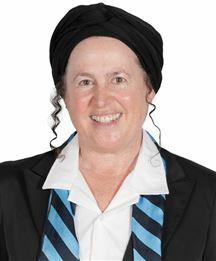 Zunette has been working as an estate agent since 2006. Her speciality area is Sandbaai where she has gained deep understanding and knowledge of the ebb and flow of its industry. She is a fully qualified marketing consultant having successfully completed her NQF4 and holds a valid Fidelity Fund Certificate through the EAAB. Her honest and open manner speaks of her vision to always operate ethically and helping where she can. Providing awesome service to the best of her ability is governed by the values Harcourts keep. People first Doing the right thing Being courageous Fun and laughter Her vision is to always be helpful, to be ethical at all times, to be friendly, to deliver quality service to the best of her ability and to keep the harcourts promise. Being part of such a dynamic team makes her even more successful in what she does best. 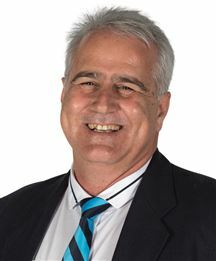 Minét Vivier has been part of the Harcourts Jana Marie team since 2010. She has a high work ethic and is skilled in problem solving. "I don't believe there could be a problem that cannot be solved, every problem has a solution." She takes charge of the public image of the office by managing the multi-media marketing and the website. "The virtual presence of companies in this industry is taking preference and are of great importance." 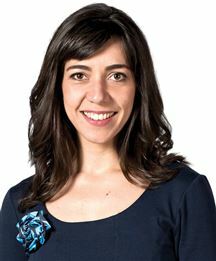 Her creativity and digital design skill contributes to the success of the company's image. 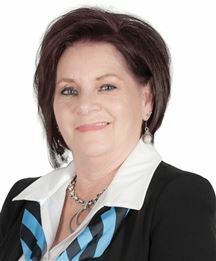 She has gained experience in both sales and rentals and therefore has a clear understanding of the industry as a whole. She works as a sales-assitant with Igno Vivier, her husband, managing and administrating office related sales and marketing tasks. Sandy is the epitome of summer, always greeting you with a warm smile. She has always been a people’s person, with strong leadership and mentoring qualities. She did her BA degree a er leaving school, and then went into the film industry, where she was involved from the very first television broadcast on the SABC in 1975, until early in 1992. When she decided to move, with her young children, to the most amazing place in South Africa, namely Hermanus, she knew they could grow up with life values and positive experiences that would stay with them throughout their lives. 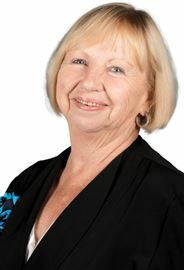 She settled in Onrus River and opened her own restaurant where she got to know and love the locals and the kind of people wanting to move here, which created within her a passion to assist people in making property decisions to the best of her ability. After a few years she sold the restaurant and embarked on the journey in the real estate industry, first being an agent for a while before she became the principal and owner of an estate agency in town. “I love the real estate business, with a desire to continuously learn more. I have strong people skills and strive to deliver my best at all times”. 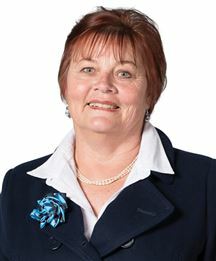 Sandy takes care of the heart beat of Harcourts Hermanus, fulfilling the role as office administrator and receptionist. 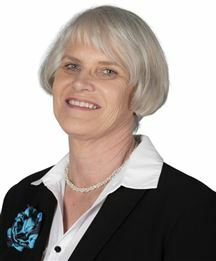 Community involvement has also always been very important to her and she gets involved as much as possible, which over many years has given her a good understanding of the values of the people of Hermanus.